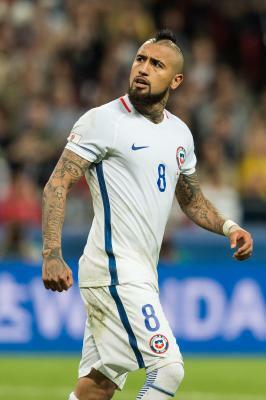 Munich April 16 (IANS) Chile midfielder Arturo Vidal is due to undergo surgery for a knee injury preventing him from participating in Bayern Munich s upcoming matches the German football champions announced on Monday. Bayern coach Jupp Heynckes said Vidal 30 sustained the right knee injury during the club s training session on Sunday reports Efe. "Arturo has a loose body in his knee. That s preventing him from stretching. He s already on his way to Augsburg (to Dr. Ulrich Boenisch). He needs keyhole surgery on his knee " Heynckes said during a press conference ahead of Tuesday s German Cup semi-final match against Bayer Leverkusen. "Arturo will definitely be out of action for a while " he added. With this prognosis Vidal is likely to miss Saturday s Bundesliga game against Hannover and next week s key duel with Real Madrid in the first leg of the Champions League semi-finals.